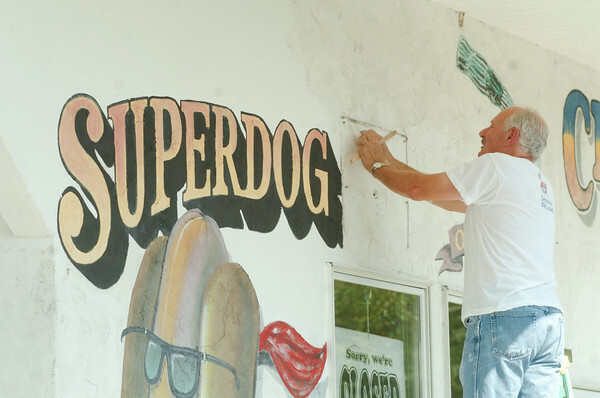 DAN CAPPELLAZZO/STAFF PHOTOGRAPHERNiagara Falls - Sullivan’s Hot Dog’s, 501 Caygua Drive, owner Jim Zetes works on the West Side of his building. Zetes who owned the business from 1999-2005 bought the business back on July 13, 2010. Zetes plans to have a re-grand opening on April first 2011.